There is a growing trend in research and practice that shows that mindfulness is a very useful tool in school-based settings but few have translated this into afterschool programs. 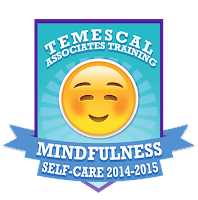 Temescal Associates has developed a 16-week mindfulness curriculum for afterschool workers and a two-day training – one day for the use of mindfulness techniques for the self-care of adult staff, and one day for staff who will lead young people in mindfulness activities. We wanted to understand more about the use of mindfulness techniques in the afterschool setting. We posed a number of questions to leaders who are putting this to use on the ground: an afterschool leader for the Riverside County Office of Education (Allison Haynes) and a middle school teacher and former Director of Afterschool Programs for Delano Union School District (Ken Dyar). Below are some of their responses. Q: WHY DO YOU THINK THAT MINDFULNESS IS A GOOD TOOL FOR THE YOUTH AFTERSCHOOL PARTICIPANTS? Allison: I think that youth study their adult staff in after school programs. Their staff are their role models. 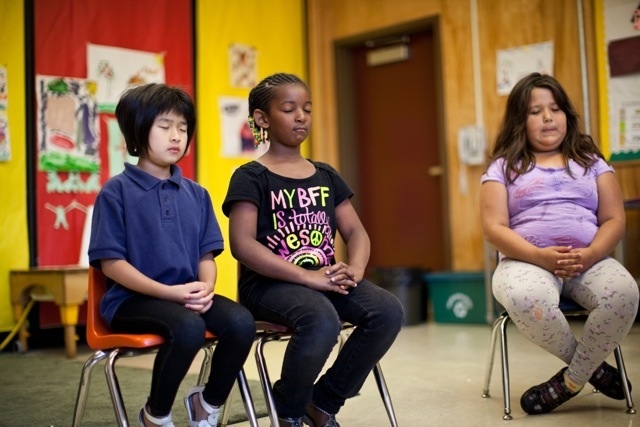 A mindful staff models for youth how to self-regulate emotions. And let’s face it, emotions that are born out of a full day of school where anything can happen; a tired body from physically navigating said school day; and the sheer delight brought on by overstimulation due to fantastic enrichment opportunities can lead to negative outcomes. Students need a way to manage themselves. Mindfulness is an acceptable solution. Ken: I read about "fighting the bear" with at-risk youth. This condition describes many of Delano's kids. When children are fighting the bear, new learning cannot take place. Recent brain research by authors such as John Medina (Brain Rules) and John Ratey (SPARK: The Revolutionary New Science of Exercise and the Brain) back this up. The brain is built to handle stress in short bursts; perhaps no longer than 20 to 30 seconds at a time. Children living in poverty or in unhealthy environments are under constant, unending stress. Is it any wonder that they struggle to self-regulate, or attend to a school lesson? In an after school program, we are extending their learning day until 6 pm, five days a week. We needed a way to help our children be in the moment, release their stress, feel safe, and stop fighting the bear. Mindfulness is the perfect way to do this, in my opinion. Additionally, it is a practice that the kids can extend to their lives outside of school. It is a life skill. Q: WHAT BENEFITS DO YOU BELIEVE MINDFULNESS BRINGS TO YOUNG PEOPLE? Allison: I am sure that the research lays out many benefits. Through the lens of Allison, I say the best benefit is that students become more aware of self. I believe self-awareness builds confidence. Confident youth are likely to reach their potential. I need all youth to reach their potential. Ken: Stress management, regulating behavior, lowering blood pressure, increasing positiveness, increasing hopefulness, empowering youth to feel that they are in control of themselves. It develops a growth mindset in kids. "I am not stuck forever in my current situation. I can control my thoughts, attitudes, and reactions to the events I encounter." It gives them a tool to move them forward emotionally and therefore academically. Allison: Mindfulness provides immediate feedback to adult staff. Taking a breath while letting the thought pass is indeed helpful when your inner voice is shouting doom and gloom. Interrupting the critical voices in one’s head allows a pathway for creative thinking (which is always necessary for afterschool programs adult staff). 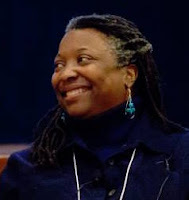 But engaging in a practice before arriving to engage youth is most valuable because it is during that time that intentions can be set, loving kindness administered, and a stronger connection to compassion forged. Mindfulness is a good way to start any day. Ken: Teaching in an after school setting is very stressful. These are 3.75 hour positions with relatively low pay and no medical benefits. For most of my staff, this was the first "real" job they held. And what do we ask them to do? Be alone with 20 students from 2:15 until 6 pm. Five days a week. The staff had to learn curriculum, class management, instructional strategies, and grant compliance in a very short period of time. However, we also knew that staff could not bring that emotional baggage in front of the kids. So how do we help them be in the moment, manage their stress, and improve their overall outlook professionally? I thought mindfulness was the answer. I still think it is a game changer in after school programs. Q: DO YOU BELIEVE THAT MINDFULNESS IS APPROPRIATE FOR INTRODUCING TO ALL AGE YOUTH? IF SO, WHY? Allison: YES. Why not? Why would we arbitrarily choose a number and determine that until one reaches that age they are restricted from engaging in a practice that includes benefits such as relaxation, self-regulation of emotions, self-awareness, and compassion for others? If we taught mindfulness to youth of all ages…what a wonderful world it would be. Ken: I do believe that mindfulness is appropriate. I have introduced it to my eighth graders this year. The adolescent brain goes through huge changes. It begins to prune back connections that are no longer used or needed, and it grows new connections as it matures and learns new things. This is a huge leap forward toward adulthood. Students in middle school are truly "stuck in the middle." Anyone who has worked with middle school students will tell you that these kids are both babies and adults. They will chase and scream and giggle like little kids. Meanwhile, they push adults away, while at the same time longing for meaningful relationships and guidance with those same adults. They need a tool like mindfulness to manage the swings in mood and emotion. They need a way to manage the stress that comes from fighting the bear. I believe that educators who use mindfulness with their students will enhance the relationships they have with their kids. Sharing mindfulness with my students has certainly proven to them how much I care about them. Q: WOULD YOU RECOMMEND MINDFULNESS TO OTHER AFTERSCHOOL LEADERS? IF SO, WHY? Allison: YES. 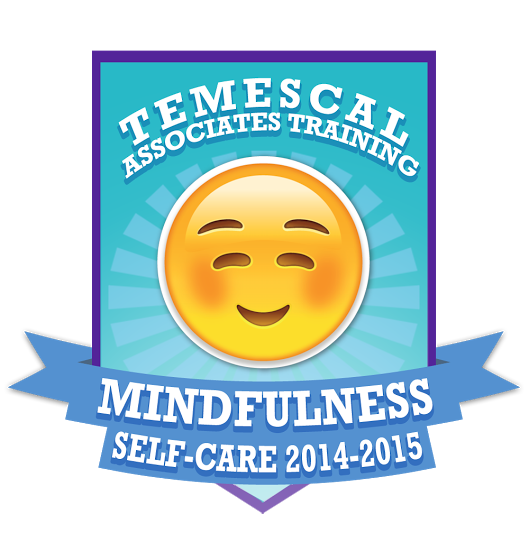 I’d recommend mindfulness to other afterschool leaders because a practice is good self-care. Additionally, I know afterschool leaders are role models who can’t give what they don’t have. I say, give them what they need and watch it spread. Ken: When I share mindfulness with my kids, one comment I always hear at the beginning is that it is "weird." It's weird because no other teacher they've had has ever shared this with them. Taking a moment to do a body scan, be grateful, be in the moment, etc., is completely foreign to them. It is my wish that mindfulness become such a regular part of education that it is never considered "weird" anymore. I wish every teacher on my site spent time using mindfulness with their students. I would certainly recommend the practice to any leaders involved in educating our youth. Allison Haynes is the Administrator of Pupil and Administrative Services at the Riverside County Office of Education. She has worked in the field of Education for 25 years with the last five focused on Expanded Learning Programs. Her experience ranges from working with elementary, middle school, and high school students as a school counselor and/or a site administrator. Her background as a social worker formed her personal calling as protector of the wee ones and her commitment and love for children, youth, and young adults. Allison remains steadfast in removing barriers to learning via social emotional support; youth advocacy; and social equity. In recent years Allison has turned her actions toward influencing those working directly with youth. Her easy manner and coaching style is well received in expanded learning settings. She is a sought after mentor leading the charge into uncharted waters to enact the next great idea for building leadership capacity that produces quality programming. Ken Dyar was named a California Teacher of the Year in 2006. He is currently a Physical Educator at the Delano Union School District. Prior to this assignment, he was Director of Physical Education and After School Programs, including DUESD's after school program - POWER. 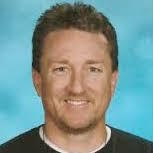 Ken has taught for over 18 years, teaching 3rd, 4th, 6th, 7th and 8th grades (13 of those years as a physical educator and department chair at Cecil Avenue Middle School in Delano). Ken has led more than 200 PE workshops throughout California, and has done presentations for delegations across the western United States and in Boston and Washington DC. Outstanding article and idea. Mindfulness has been an ongoing part of our center's "Junior Staff Leadership" program for five years now. OST is the perfect place to introduce "soft skills" (such as mindfulness) that contribute in underappreciated ways to the positive and healthy development of children and youth.